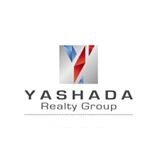 Yashada Realty has its genesis in the year 2000, when a first generation builder with stars in his eyes and confidence busting at the seams, ventured into the world of Real Estate and building homes. What started off as Mr Vasant Kate, a young entrepreneur’s dream and leap of faith, soon transformed into a leading real estate behemoth with signature construction projects to its credit. With the right values of honesty, integrity and commitment, Yashada Realty has been consistently designing and delivering the best in construction quality. Of paramount importance is customer satisfaction, which Yashada Realty zealously aspires to achieve. An enviable success record till date, speaks volumes about their superlative performance. May it be 1 BHK, 2 BHK residential abodes or commercial spaces; Yashada Realty is a leading developer in Pune. With more than 8 successful projects dominating the Pune skyline, Yashada Realty is now setting its eyes on making a distinguished mark in the commercial and hospitality space.